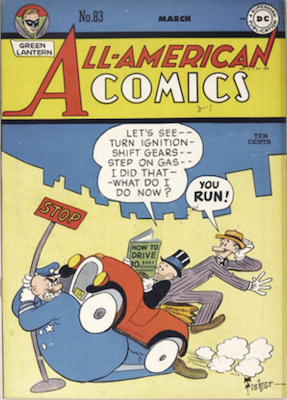 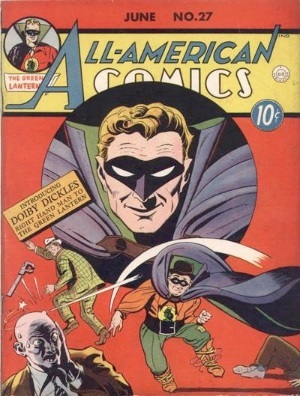 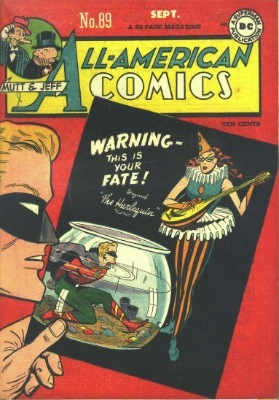 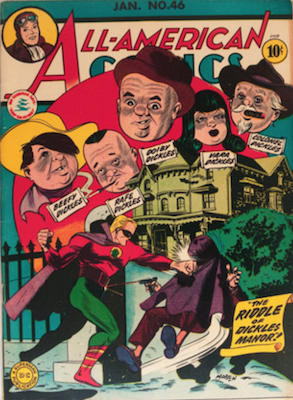 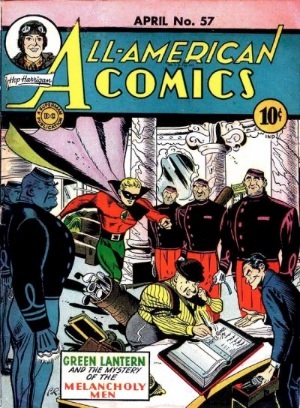 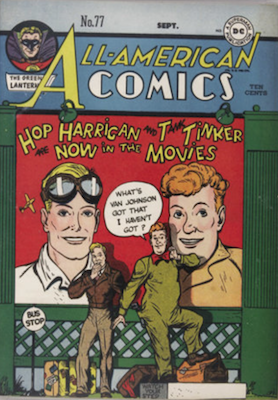 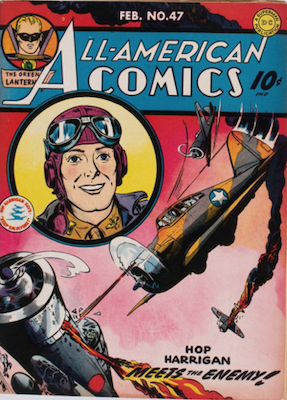 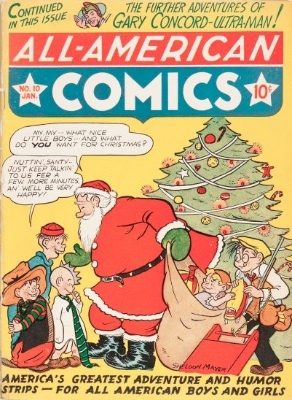 All-American was a product of All-American Publications, a company that would eventually become DC Comics, after a series of mergers, notably with National Periodical Publications. 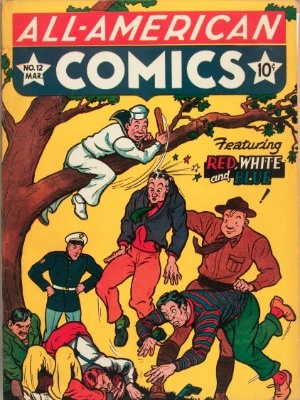 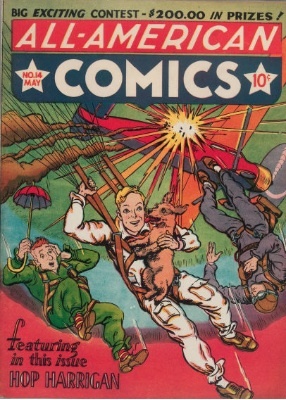 The comic began with crime stories, comedy stories, and the patriotic series Red, White, & Blue, three United States servicemen who fought espionage together. 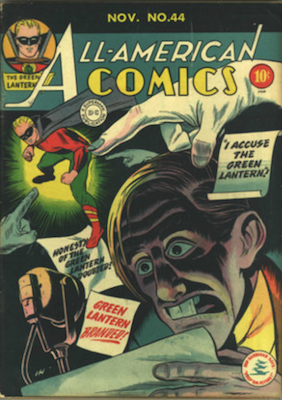 Some big key issues will be fantastic finds if you have them! 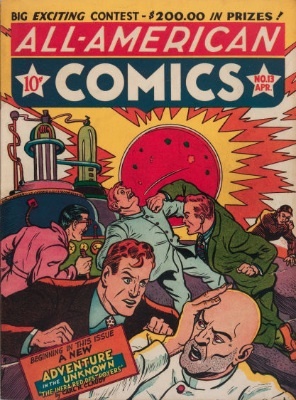 Let's find out which books are worth the most. 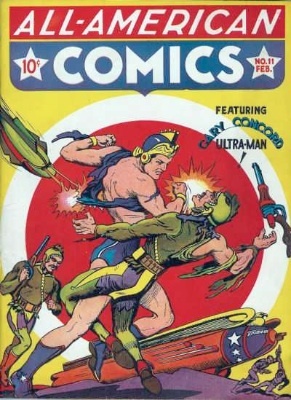 In November of 1939, Ultra-Man made his debut in All-American #8. 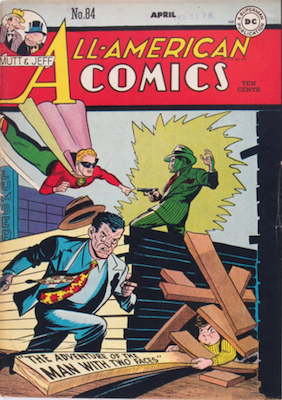 No, that isn't the Superman villain, and it isn't the Japanese Sci-Fi hero of the same name. 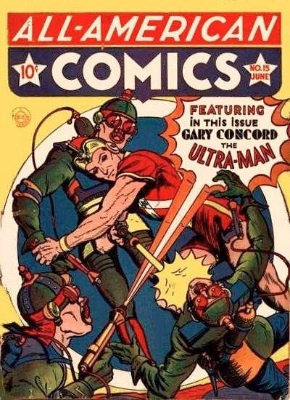 Ultra-Man was an odd superhero, with a convoluted origin story. 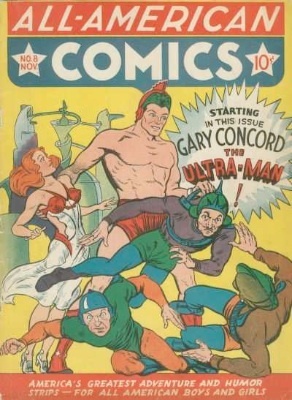 Gary Concord was a 20th-Century scientist who spent 224 years in suspended animation as the result of an accident, waking up with super powers. 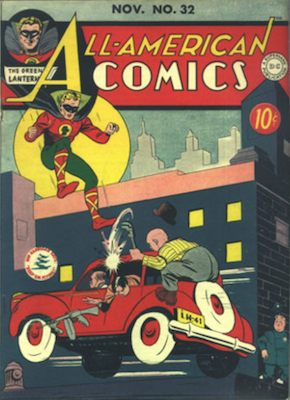 A future crime fighter, Ultra-Man was not successful, and made very few Golden Age appearances, disappearing by October of 1940. 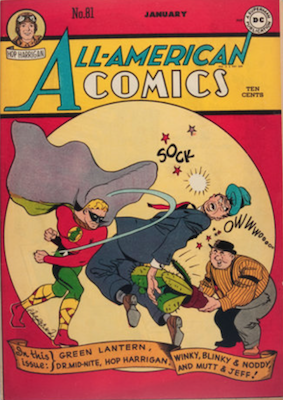 This issue of All-American, regardless of the relative obscurity of Ultra-Man, is extremely scarce. 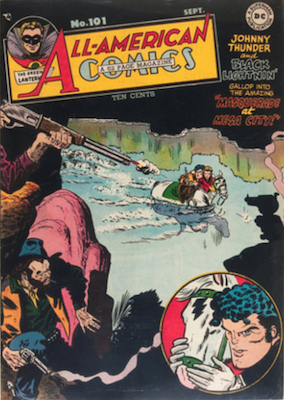 Only two copies have been graded at 8.0 (very fine, the best known examples to date), and only SEVEN in total have been graded by CGC. 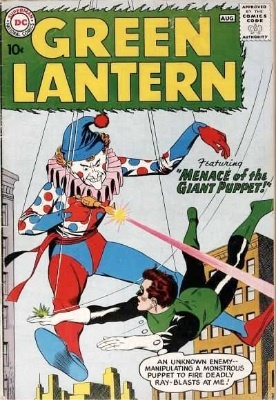 This makes it very hard to reach a market value for this book. 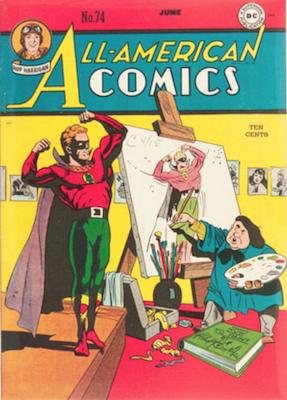 If you're only going to find one copy All-American comic book in your life, then make it a #16! 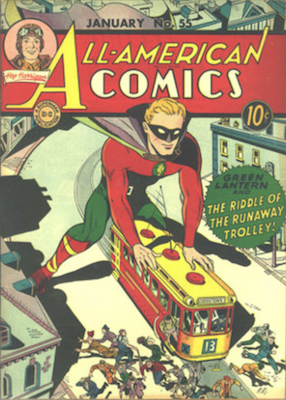 All-American #16 tells the story of Alan Scott, a young railroad engineer who finds a mysterious magical green lantern that speaks to him. 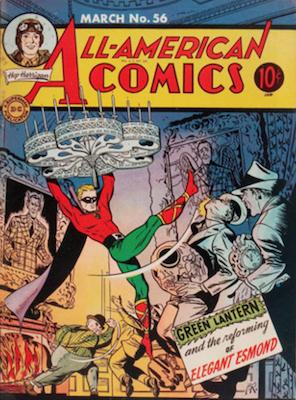 It tells him to make a ring from the metal it is made from, and explains that wearing the ring will give him fantastic powers. 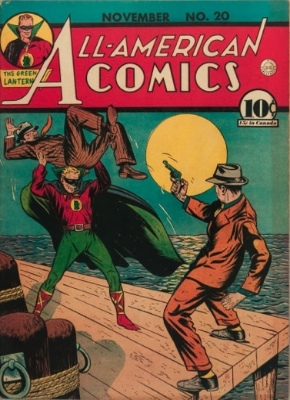 Any Golden Age superhero comic is a valuable find, but this one is very scarce and very valuable. 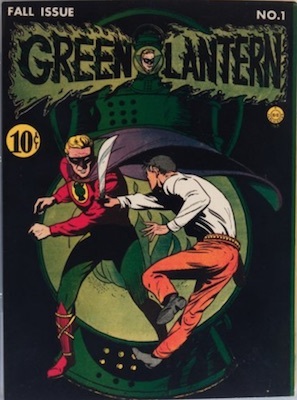 Since this issue contains the origin of Green Lantern, illustrated by his creator, Martin Nodell, its value is high, regardless of condition. 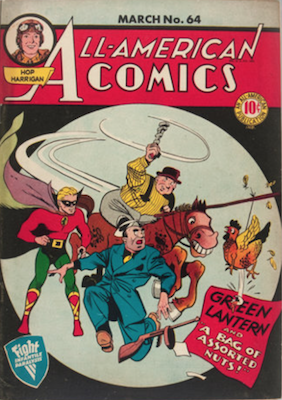 While nowhere near as valuable as #16, the next two appearances of the Green Lantern are still very collectible and worth a pretty penny. 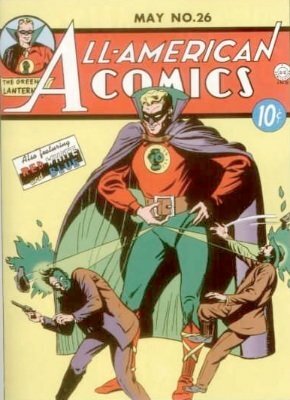 With All-American #19, the title would say "goodbye" to Ultra Man, and "hello" to The Atom, another hero who would last through the Golden Age into the Silver Age. 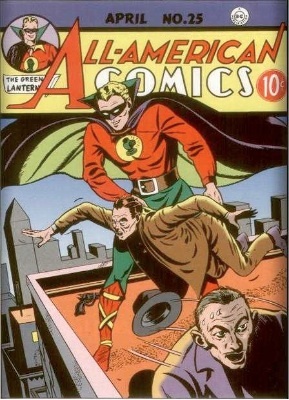 Initially a non-super-powered hero, Al Pratt was a short man with a big heart, but the body of the proverbial 98lb weakling. 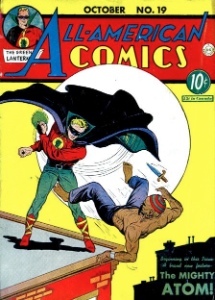 When his urge to do good helped a boxer named Joe Morgan, Morgan trained him to be a great pugilist and combatant, and the Atom was born. 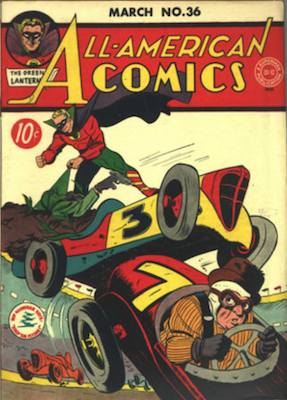 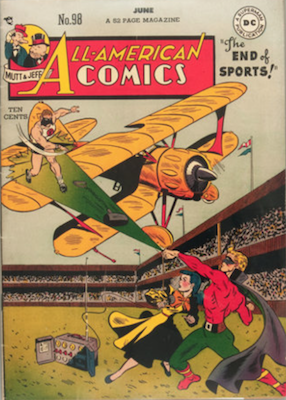 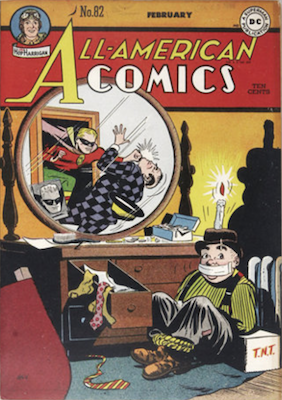 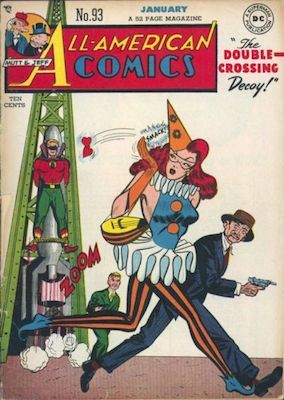 Written by Bill O'Connor and illustrated by Ben Flinton, the story "Introducing the Mighty Atom" gives this issue its value and collectability. 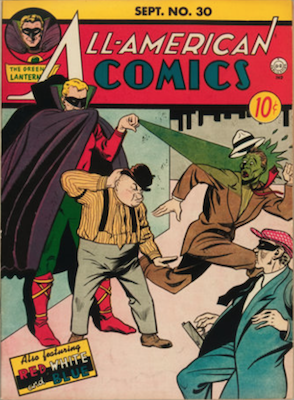 One of the last issues of the series to command a high value is All-American #61, featuring the debut of classic GL villain Solomon Grundy. 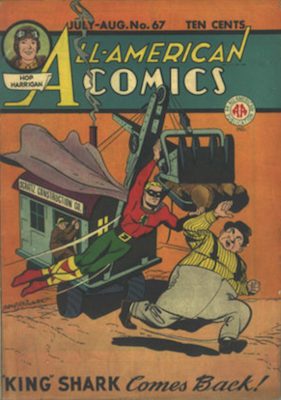 Featuring a classic cover by Paul Reinman, issue #61 of All-American tells the story of how a merchant named Cyrus Gold is murdered and his body dumped in a swamp. 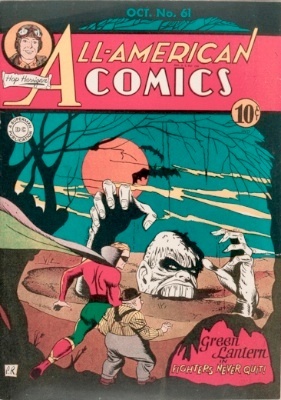 50 years later, now composed largely of swamp vegetation, Cyrus Gold's corpse is reanimated as a zombie-like villain who can recall almost nothing of his former life. 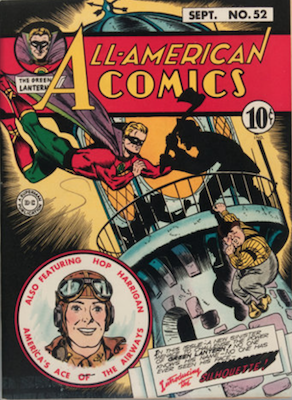 Besides offering a moody and atmospheric origin tale for one of the DC Universe's most enduring villains (who would go on to combat Superman and Batman, among others), issue #61 of All-American is quite a rare comic book, and has iconic cover art. 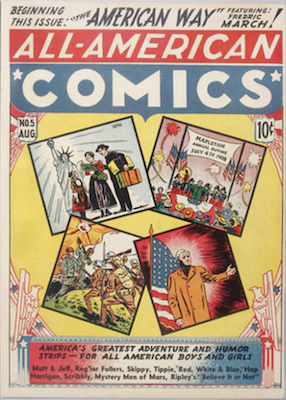 These factors all combine to make this comic very desirable to collectors. 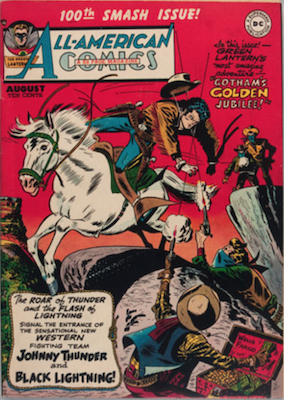 All-American #102 was the final issue before it turned into All-American Western for good. 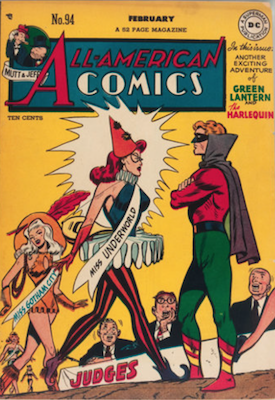 It's always a shame when an iconic series comes to an end. 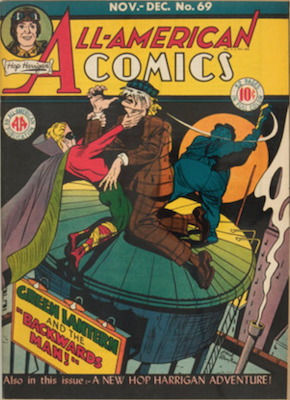 However, there are now collectors who specialize in "sunset" issues (the final issue in a run), and they drive up the prices of these final comics. 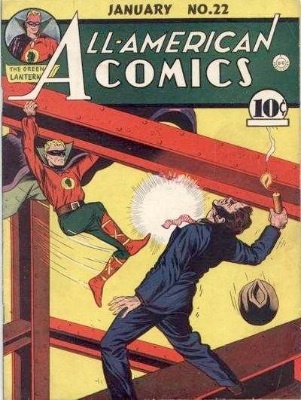 This, coupled with the lower circulation common to final issues (after all, comics are canceled for a reason! 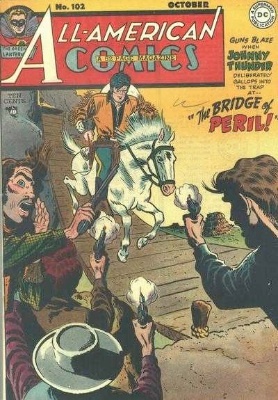 ), usually results in a surprisingly high value for the comics. 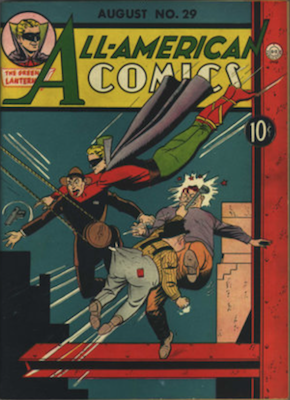 Starting in issue #8, superheroes began to supplant the crime stories, with the first appearance of a superhero in All-American, Ultra-Man. 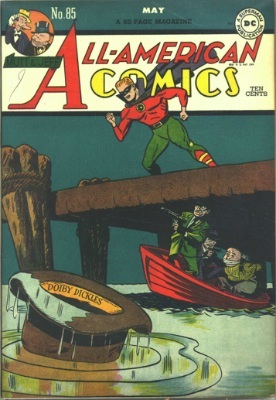 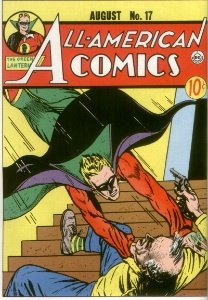 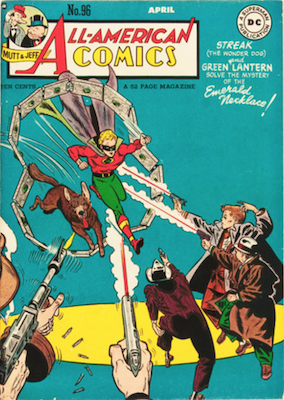 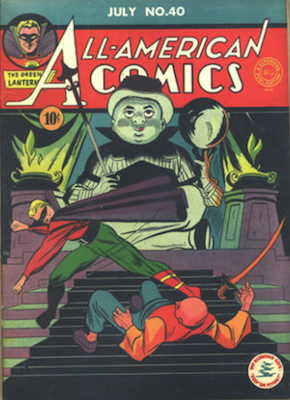 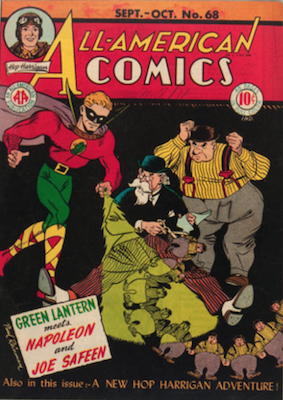 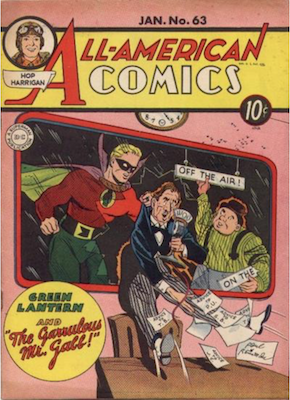 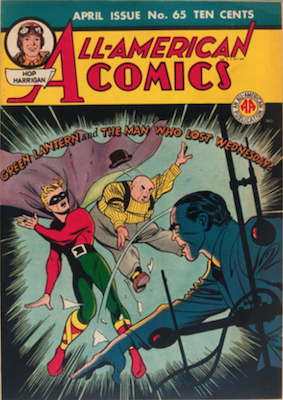 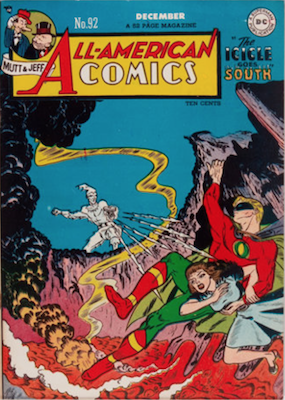 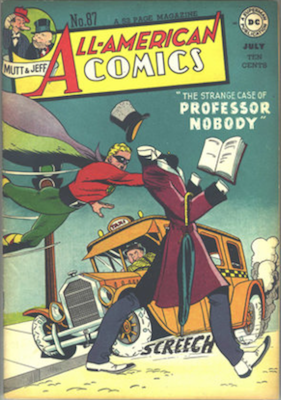 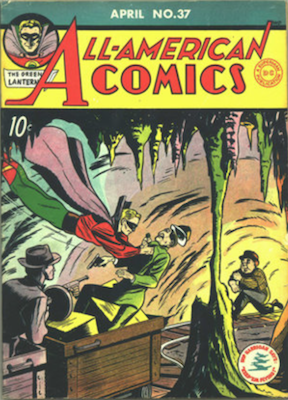 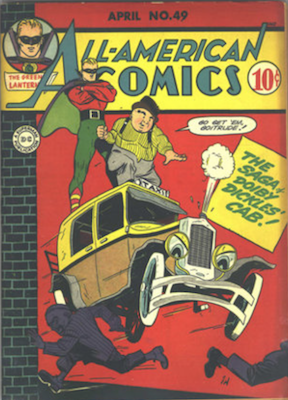 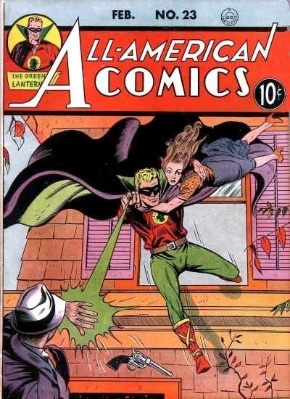 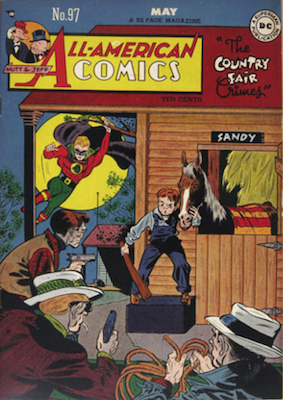 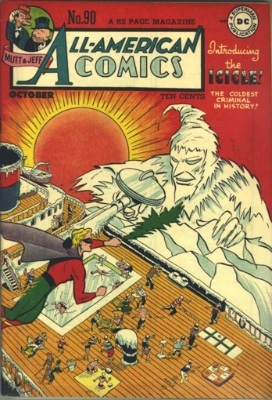 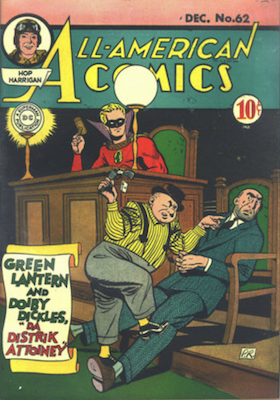 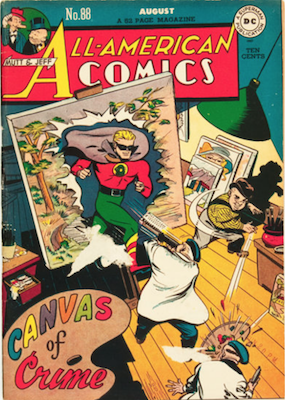 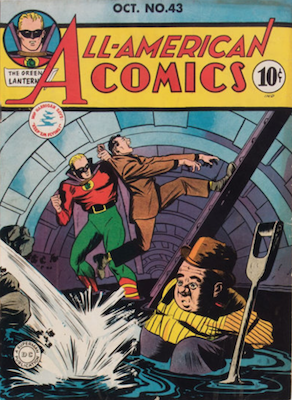 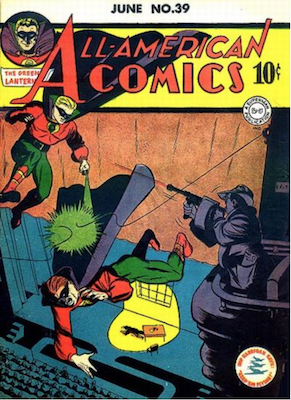 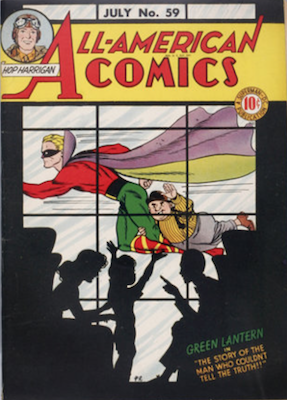 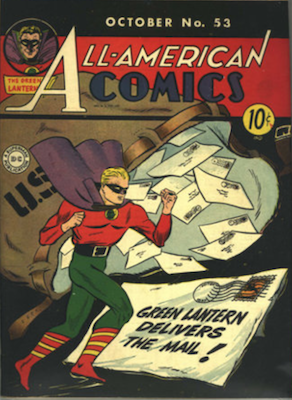 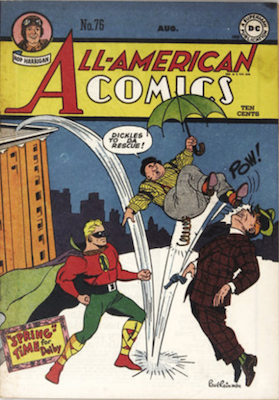 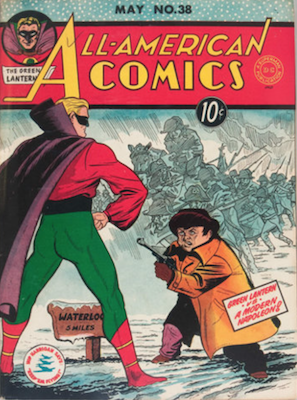 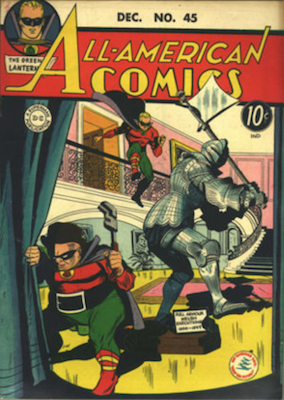 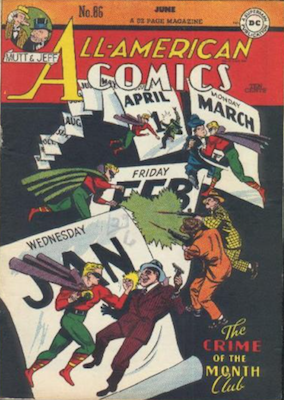 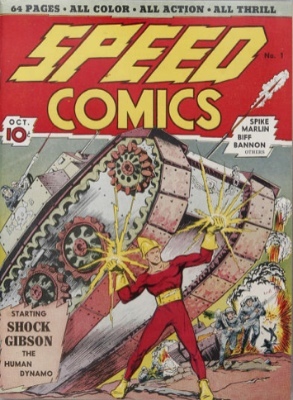 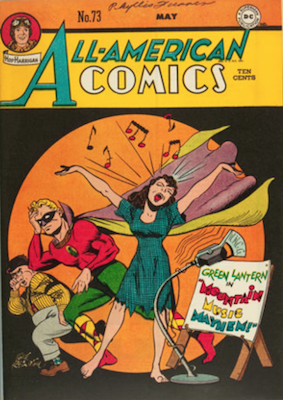 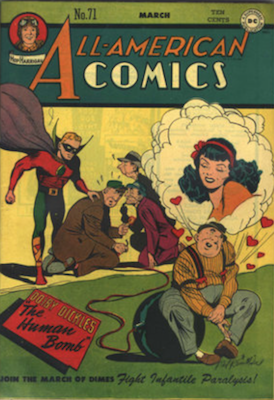 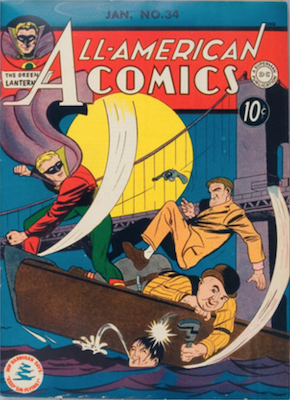 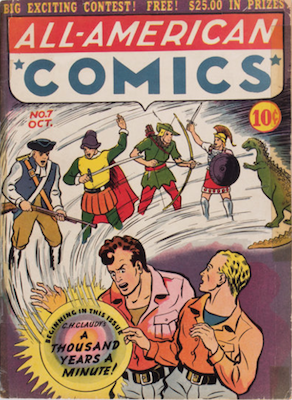 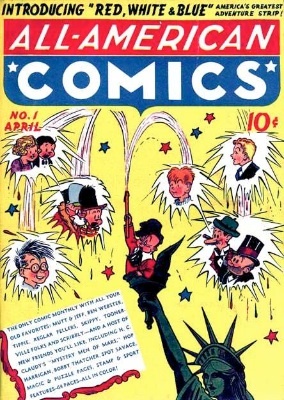 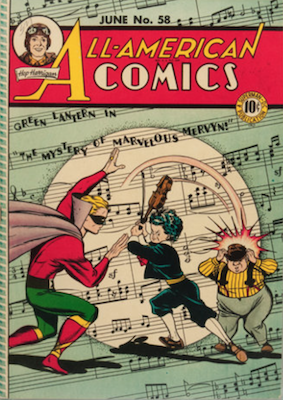 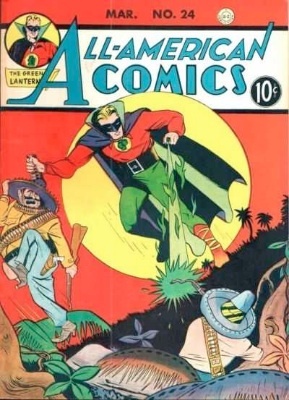 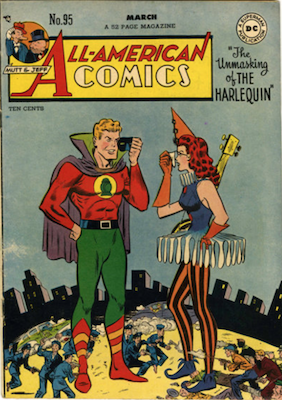 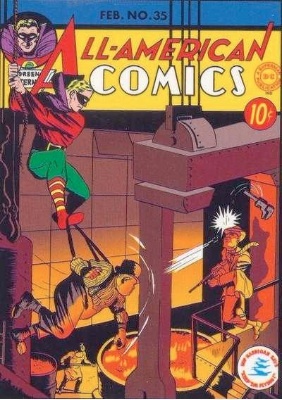 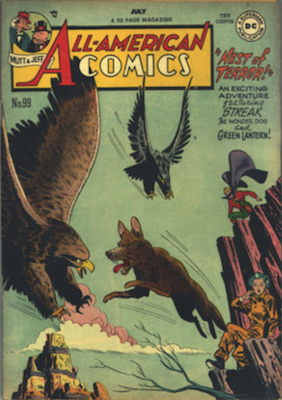 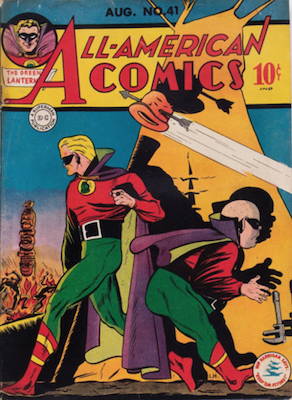 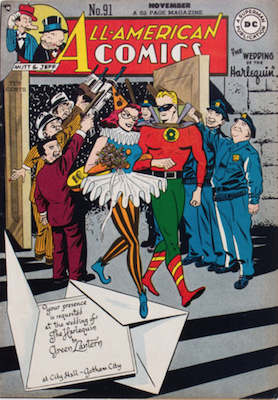 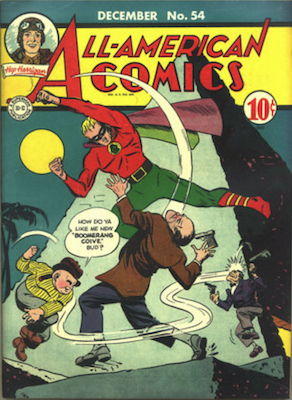 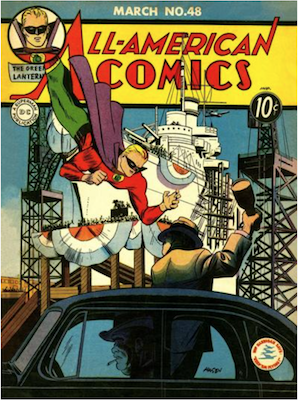 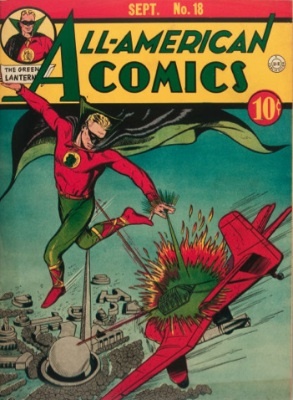 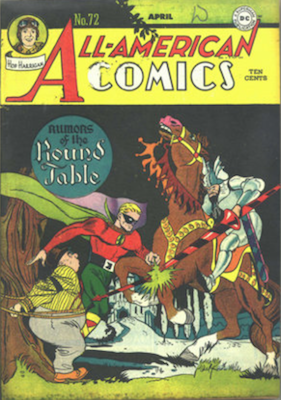 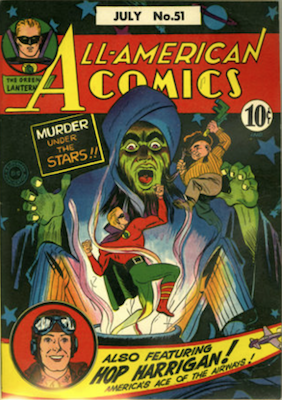 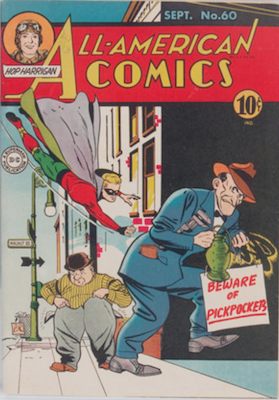 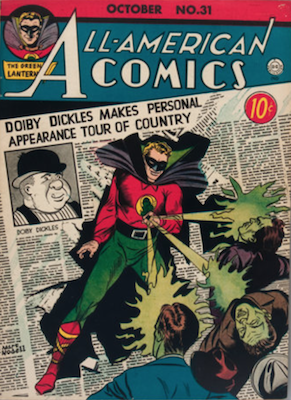 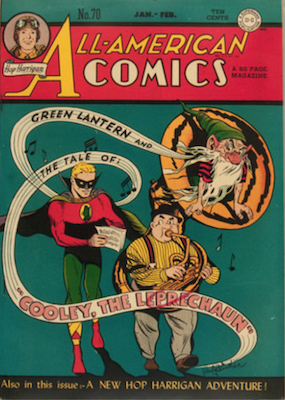 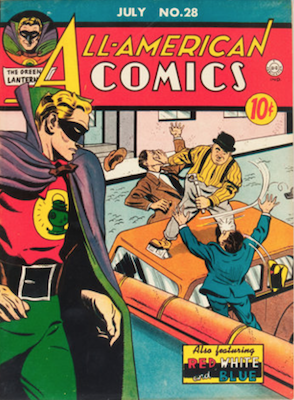 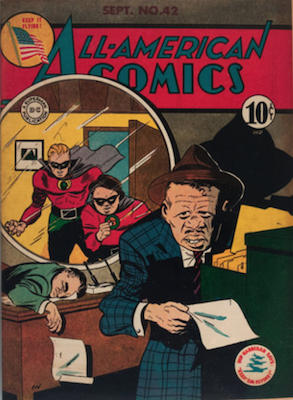 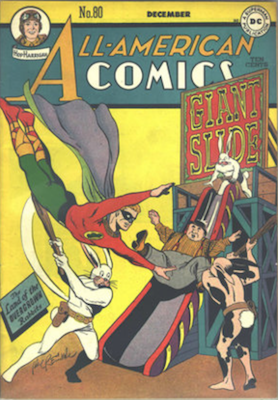 By issue #16, with the debut of Green Lantern, superhero stories became a mainstay in All-American, remaining so when the company was purchased by National Periodicals in 1946. 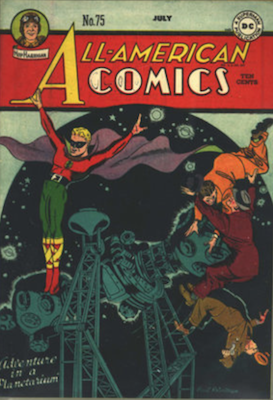 Along the way, All-American Comics was home to The Atom, Dr. Mid-Nite, and the original Red Tornado. 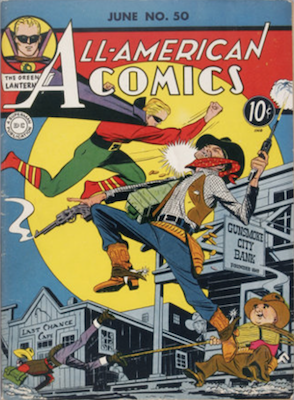 But by 1948, responding to the demand for Western Comics, DC changed All-American Comics into a Western anthology series with issue #103. 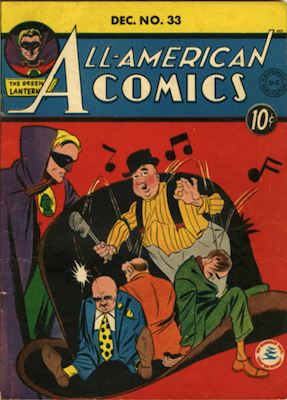 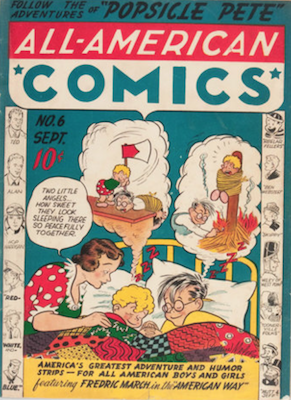 Most issues of All-American Comics are very valuable, and like any Golden Age comic, most are quite scarce in high-quality condition, and therefore command a high price. 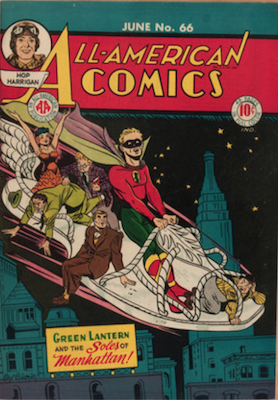 Pretty much any superhero issue in Good to Very Good quality will fetch at least $500, with the most desirable going into five-figure territory. 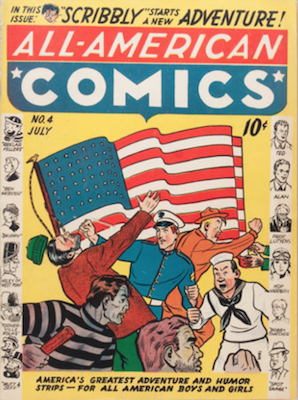 If you find some old issues of All-American Comics while cleaning out your Great-Grandfather's basement, you will most likely be holding a comic with quite a significant value. 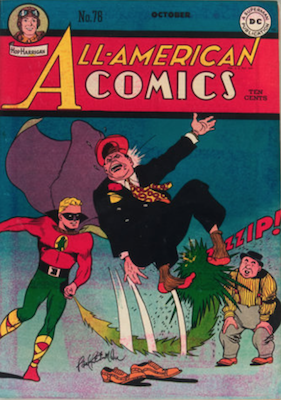 If you've got some old copies of All-American Comics (including #8, #16, #19, #25, or #61), then click here to have them valued FREE by Sell My Comic Books! 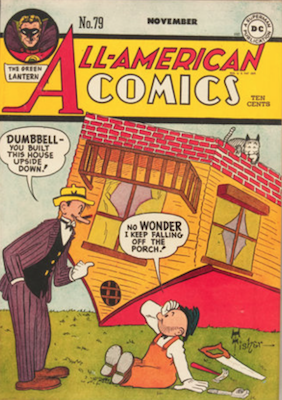 Some of the issues in All-American feature in the world's most expensive comic books top 50! 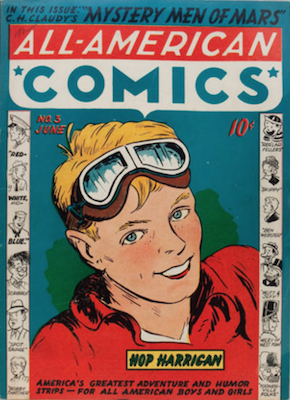 There are many rare comics out there, but not all of them are super-valuable. 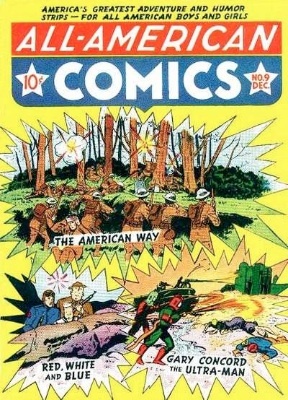 Our guide explains. 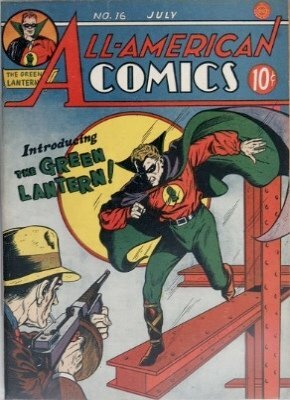 The Green Lantern spun off into a stand-alone series. 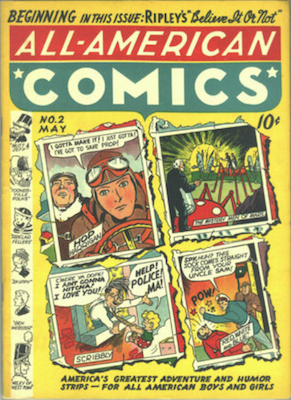 Find out the value of the comics here. 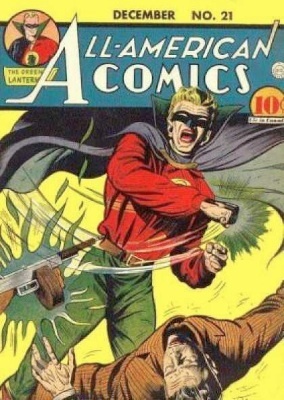 Much easier to find than the Golden Age series, Hal Jordan enjoyed his own series from 1960.
from Sell My Comic Books!